I'm the administrator of a Facebook page for an organization, and when adding comments to items posted there (by myself or by other administrators), the comments show up as being "added by the page". I would like to be able to comment as myself, the person, and not as the organization. Is this possible? By the way, the "Like"s show us as mine, not the page's. The chosen solution does not resolve the issue of posting as yourself on your page, but outlines how to switch your account to act on behalf of your page on Facebook. You can post as yourself to a page you admin by selecting Edit Page in the upper right-hand corner of the page -> Your Settings on the top of the left-hand sidebar. From there you can either check or un-check the box for posting preferences. Facebook may change things again, but this is the solution as of 15 Nov 2011. Not possible again as posting preference in options were removed. This how the admin setup works, you are basically taking up the PR role of the page so the face should be the brand. Pages are for organizations, businesses, celebrities, and bands to broadcast great information in an official, public manner to people who choose to connect with them. (1) What is a Facebook Page ? The way I used do it, is similar to Twitter signatures, appending my initials at the end ^PH . 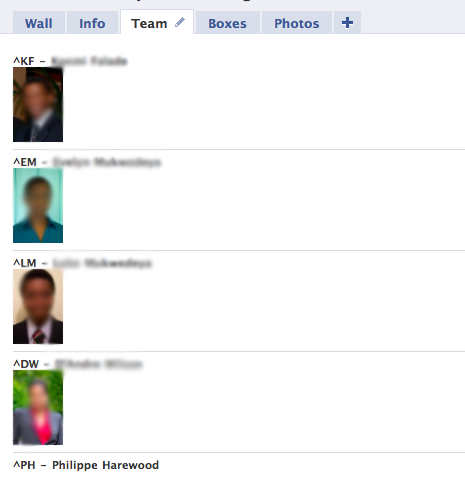 I also added a FBML tab with the faces of all those who are admins along with initials. If you dont like this way then you should have only one person who stays as admin and you all send him posts via email/chat/etc. That way the rest of you can just be regular subscribers of the page. Otherwise you may just want to look at Facebook Groups. It seems Facebook just "fixed" this. It's not live for me yet, but the functionality is supposed to be part of the new set of features just released. You will see at the top of the page, 'You are posting, commenting, and liking as [Your page name or your personal account name]' - you can toggle between the two effortlessly now, to be able to then do this. I figured out a way that works. If you share the status update, or whatever it is, on your own page, then you're able to like it as yourself. Not the answer you're looking for? Browse other questions tagged facebook comments facebook-pages or ask your own question. How to see the author of a Facebook's page post? How can you tag a FB page follower, member or participant in a comment? Is it possible to extract comments from a Facebook page?